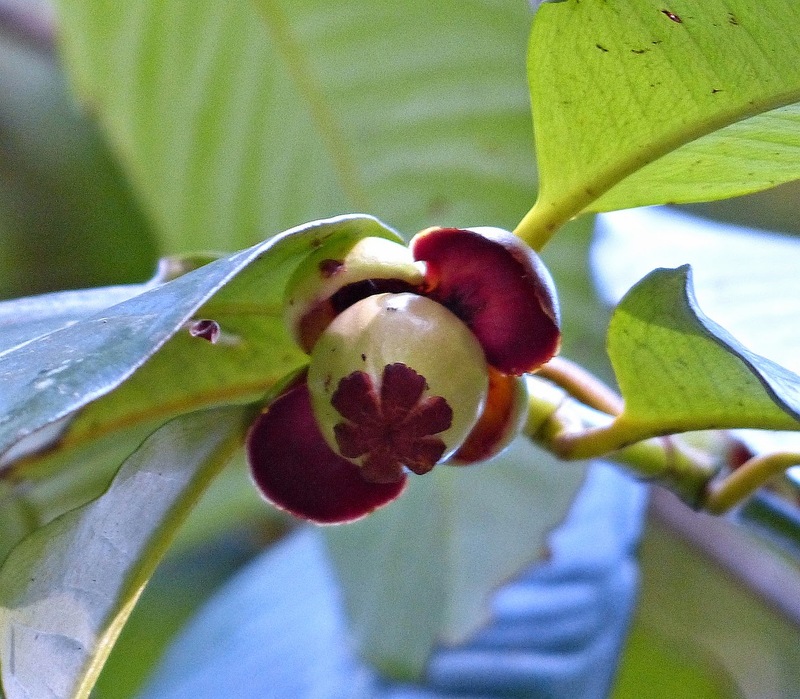 Daintree Valley Haven: Mangosteens at last! One of our favourite fruits (actually nothing like a mango) and our one and only tree has not produced any fruit for years. But a few months ago we had some huge overhanging trees pruned back and to our delight this afternoon we noticed heaps of tiny developing fruits so the tree must be much happier to have more light!